Currambena is celebrating 50 years this year. Currambena and ADEC are hosting the Asia Pacific Democratic Education Conference, APDEC 2019, in Sydney as part of the recognition of that. It will be held at Naamaroo Conference Centre, Lady Game Drive Chatswood, from 15th – 20th July, 2019. The ADEC2019 conference for this year will be part of this event so please come and join in APDEC 2019. The website is now live and Registration is open, (though some categories are still to be posted) so I encourage you to check it out and take advantage of the early bird rate if you are able to make it for the whole week. There is more to add to the website as we go along so please check in regularly. 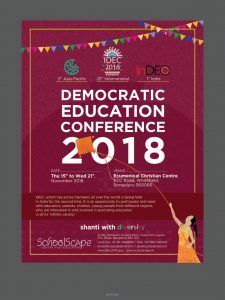 IDEC2018 is happening in Bengaluru, INDIA from 15th – 21st November 2018. APDEC 2018 will be part of this event. 28th – 30th September 2018, is up and running on the Pine Community School website. The program will be available in the coming weeks. Hope that many of you will register and look forward to seeing you in Brisbane. Click on the link to see Tim Berryman, the Principal of Fitzroy Community School in Melbourne, as he appeared on The Project. He also appeared on Sunrise, 774 and 6PR and in The Age. It is great to see such stories and Tim’s effective communication happening in the media. Isn’t it great to belong to a community with others that value & further democratic education for children. To nurture this community ADEC holds an annual conference so ideas can be shared and the community enlivened. The 2018 conference is being hosted by Pine Community School in Brisbane on 28-30 September. Mark the dates in the calendar so you don’t miss out; because it won’t be the same without you. 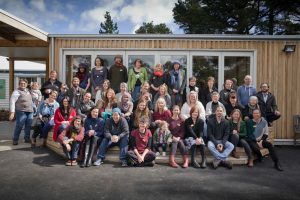 We will spend the weekend thinking, talking, listening and being “community, connection and celebration”. Look out for further information about the weekend in emails, on the ADEC website and facebook page. Share this invitation to attend with your school community, colleagues and students. 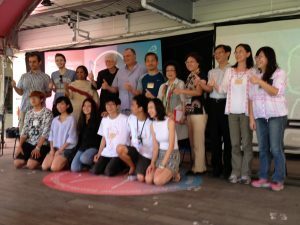 Reports of IDEC2017 in Israel, attended by Cec and APDEC2017 in Japan, attended by Chris, Jesse and Cec, can now be found on the Newsletters page. Some of you will remember Gab Macintosh and her school, Blacktown Youth College who were part of our group from the beginning. We lost touch with Gab for a number of years but this year we have been in touch again and I learnt that she had set up another school called Eagle Arts and Vocational College with three campuses in Broken Hill, Western Sydney and the Central Coast. Gab has been keen for the school to become part of ADEC. As with BYC, the students at these schools have often had troubled histories within their families, their education and some with the justice system. Gab has always been one to champion them and try to find ways to enable them to change their lives and create some educational paths ways which work for them. The school recently has had the disturbing news that the NSW Education Standards Authority (NESA) has decided to close them down. Like all these situation the story is long and complicated but is very upsetting and perplexing for the school community especially as they have had 5 inspections in the last 18 months and just two weeks prior to the final negative inspection they had passed an inspection. Gab told me that she had written an article for the local paper and this was apparently reported to the board and they came for another inspection virtually the next day. It was this inspection that prompted the judgement that they were not a proper school. Gab has not really been able to establish why one group of inspectors’ decision was completely overturned. The school worked with a compliance expert and even this process did not result in a change of decision. In fact any attempt to allow time to work on issues or work on appeals has resulted in the decision being brought forward. Gab is aware that other small alternative schools have also been having more difficult processes of inspection and wonders if some change of culture has occurred within the Authority which is now making it much harder to comply? Gab has sent a request of support from ADEC. She mentioned three possible ways we might be able to do this. In the past Gab has been successful in getting the media to respond to issues about the schools but at the moment no one is responding to the story at all. She asked if anyone has any contacts in the media who might be prepared to listen to the story and give it some attention to please let her know. Letters of support to the politicians and bureaucrats would also be appreciated. We agreed that the people to focus on are the Premier, The Minister for Education and the Shadow Minister for Education, the Treasurer as he is the local member for plus the local members of Broken Hill and Central Coast. The school is considering a protest gathering outside Parliament House on 21st Nov and they would appreciate if others felt able to join them in support. This is not definite yet but I will keep you up to date if it is going ahead. Cec will draft letters from ADEC but I am sure that Gab and the school communities would also appreciate it is any other individuals and other schools wrote as well. Reports of IDEC@EUDEC2016 can now be found as ADEC Newsletter No 20. Reports of APDEC2016 can now be found as ADEC Newsletter No21. Reports of ADEC Conference 2106 can now be founds as ADEC Newsletter No 22. You can find all these reports on the Newsletters page. International Democratic Education Network Newsletter, September 2016. 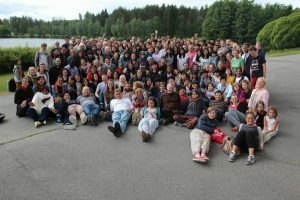 EUDEC @ IDEC in Finland.